One stitch at a time, an army of volunteers is bringing comfort to kids who miss their active-duty parents. Operation Kid Comfort, a program created by the Armed Services YMCA, makes customized quilts and pillows for children of deployed U.S. military personnel. 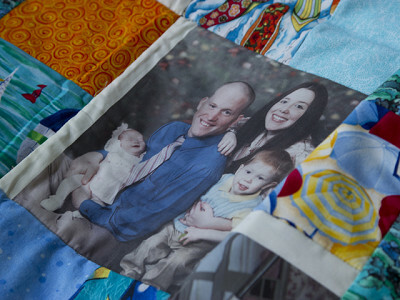 Volunteers sew pictures of deployed parents into each quilt or blanket, so kids can feel less lonely when a military mom or dad is far away from their families. Operation Kid Comfort is just one initiative of the Armed Services YMCA, whose mission is to make military life easier. It’s continuing a tradition that dates back to the Civil War, when local YMCA members provided relief services to troops in nearby encampments. Today the organization runs more than 150 programs to help military families. Volunteers provide everything from education services and childcare to hospital assistance, spousal support services, and deployment transition programs. There are plenty of ways to help. At the local level, the Armed Services YMCA relies on volunteers who give their time to help the military community. The group also needs donations to pay for quilt supplies (each quilt costs $50 to make). Sometimes we forget the sacrifices made by families of military personnel—but the Armed Services YMCA never forgets. Happy Holidays! Today Daily Grommet is honored to present ASYMCA, an organization devoted to comforting the children of military families while their parents are away. A representative from ASYMCA couldn't be with us for commenting today, but I'll be here to answer any questions you might have. Operation Kid Comfort is an awesome program that puts beautiful blankets and pillows made by dedicated and selfless volunteers into the hands of military children affected by a deployment. 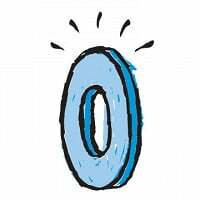 My four children each received one when my husband deployed for the 5th time--this time for 14 months. Each blanket or pillow came with a thoughtful note from the maker and each blanket was carefully crafted with love. They are extremely well made and have held up through wash after wash and lots of loving. I have no doubt these blankets will be cherished forever. @Amy Brock Thanks for your support Amy, and happy holidays. As a quilter that has donated quilts to many organizations over the years, I'm interested. In finding out more about Operation Kid Comfort. Could you tell me where I might be able to do that? It's great to hear of your interest to donate your time to this wonderful organization. The best way to find out about volunteer opportunities is to go to their website. Thanks again and happy holidays. Here at Daily Grommet, we just received the most fantastic news that thanks to our efforts for Operation Kid Comfort, we were able to help raise $4,048, enough funding to create custom quilts for 81 military children in need! We couldn't be more proud to be a part of something so significant for our country. We'd like to personally thank everyone who contributed to this organization and wish you the very happiest of New Year's. We'll leave you with a comment on the video from a fan, Heather Graham. One stitch at a time, an army of volunteers is bringing comfort to kids who miss their active-duty parents. Operation Kid Comfort, a program created by the Armed Services YMCA, makes customized quilts and pillows for children of deployed U.S. military personnel. 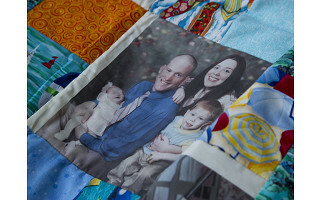 Volunteers sew pictures of deployed parents into each quilt or blanket, so kids can feel less lonely when a military mom or dad is far away from their families. Operation Kid Comfort is just one initiative of the Armed Services YMCA, whose mission is to make military life easier. It’s continuing a tradition that dates back to the Civil War, when local YMCA members provided relief services to troops in nearby encampments. Today the organization runs more than 150 programs to help military families. Volunteers provide everything from education services and childcare to hospital assistance, spousal support services, and deployment transition programs.